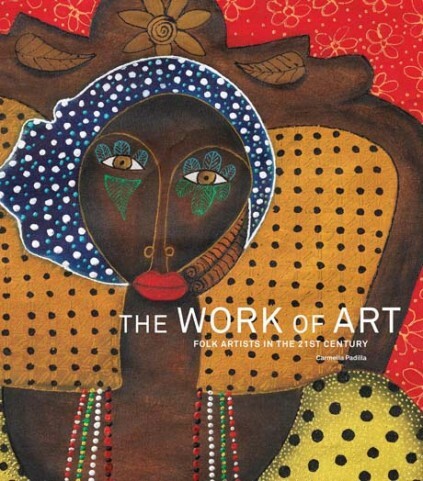 The Work of Art examines the role of folk artists in the twenty-first century, recognizing their power as creative and socially responsible champions for global change, connection, and cultural sustainability. Through interviews with folk artists from Mali to Madagascar to Cuba, Peru, Afghanistan, Uzbekistan, and beyond, Padilla introduces us to individuals and communities who are using their handmade traditions to overcome poverty, gender inequity, environmental degradation, ethnic conflict, and limited opportunities for political, educational, and social advancement. We also hear from influential folk art advocates and entrepreneurs on how to create a viable international folk art marketplace and involve modern consumers in maintaining the world’s living traditions and the cultures they represent. At the heart of this story is the work of the International Folk Art Market in Santa Fe, New Mexico, which, since its inception in 2004, has become a major force in the personal and economic empowerment of more than a million international folk artists and their communities. Thanks to the success of the Market and other supporters in the global marketplace, the work of art in traditional communities is today, more than ever, the work of living: generating resources for building schools, funding healthcare, protecting indigenous landscapes, and offering vital livelihoods that preserve skills that have been learned and practiced for generations. The book celebrates the extraordinary achievement of the International Folk Art Market as a profound point of connection, education, and exchange for folk artists and consumers, as well as an inspirational model for other markets the world over. With nearly 200 photographs of folk artists and their creations, including a gallery of images of folk art masterworks, The Work of Art is an elegant and thoughtful examination of folk art and artists that emphasizes its relevance for all who value ideals of beauty, history, diversity, and community. An informative and hopeful call to action, The Work of Art invites readers to understand and invest in the living legacy of folk art as a way to participate in the human story of the handmade––and to make a meaningful impact on lives worldwide. Carmella Padilla is a Santa Fe-based author and journalist who writes extensively about intersections in art, culture, and history in New Mexico and beyond. Her articles have been published in the Wall Street Journal, Dallas Morning News, American Craft, Travel Holiday, Latina and elsewhere. Her books include El Rancho de las Golondrinas: Living History in New Mexico’s La Cíenega Valley; Low ‘n Slow: Lowriding in New Mexico; The Chile Chronicles: Tales of a New Mexico Harvest (all with photographer Jack Parsons); and Conexiones: Connections in Spanish Colonial Art (with Donna Pierce). Padilla, who helped launch the International Folk Art Market in 2004, is a recipient of the Santa Fe Mayor’s Award for Excellence in Literary Arts and the New Mexico Governor’s Award for Excellence in the Arts, the state’s highest artistic honor. Indrasen Vencatachellum is an independent consultant and expert in international culture, craft, design, and creative industries. Born in Mauritius, he received a Master of Arts degree at the Sorbonne before serving as Director of Cultural Cooperation at the African Cultural Institute in Senegal. From 1988 to 2008, he was UNESCO’s Director of the Program for the Promotion of Crafts and Design, during which time he created the UNESCO Craft Prize to reward creative artisans. He has been an active supporter of the International Folk Art Market since its inception. He has also edited practical guides for policy makers, promoters, and cultural entrepreneurs on crafts, craft trade fairs, artisans and design. He currently lives in Paris. John Bigelow Taylor and his partner, Dianne Dubler, are New York-based still-life photographers specializing in architecture, works of art, antiquities, and jewelry. Working with the world’s foremost collectors, museums, and publishers, they have created the photography for over 200 books. Currently, they are producing bespoke, limited-edition books on estates and collections for private clients around the world.